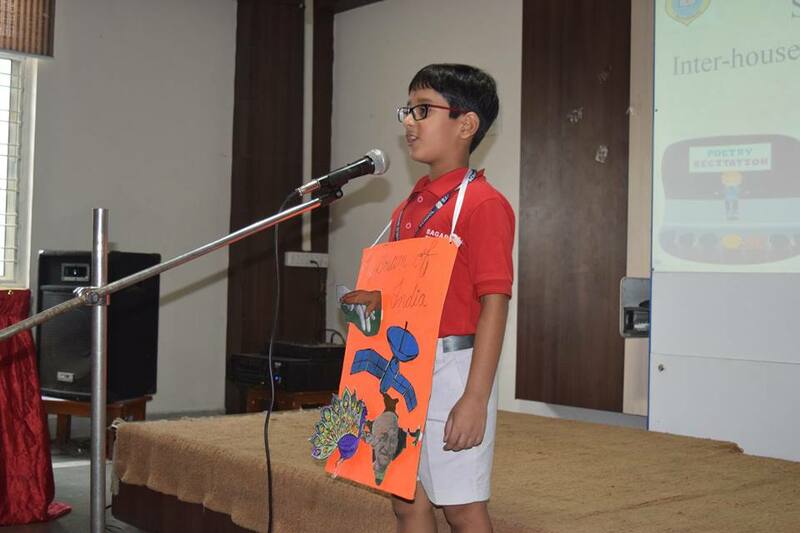 Poem – a way of expressing our thought, a medium to reflect the talent of the young ones. Reciting a poem encourages a child to study, memorize and immerse themselves in powerful language. 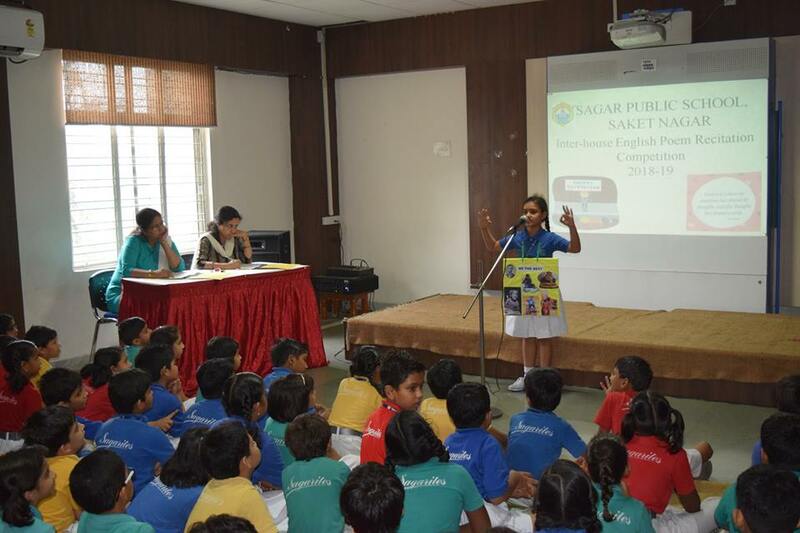 The English Poem Recitation competition was held for Classes Nur – III with full enthusiasm and energy. 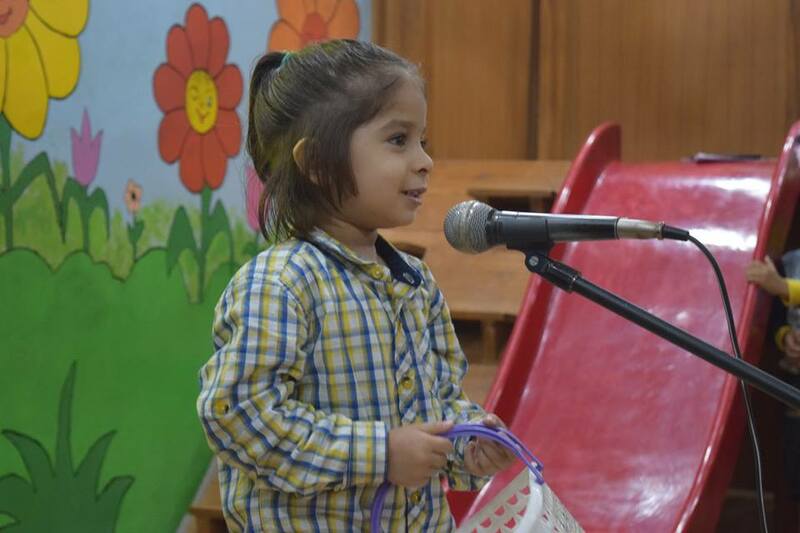 Rhymes proved to be an instrumental stepping stones for the tiny tots of Nur – KG II to learn the language. Students of Classes I & II recited breezy, lively and cheerful poems on different topics like teachers, Earth, Time, Yoga, Education etc. 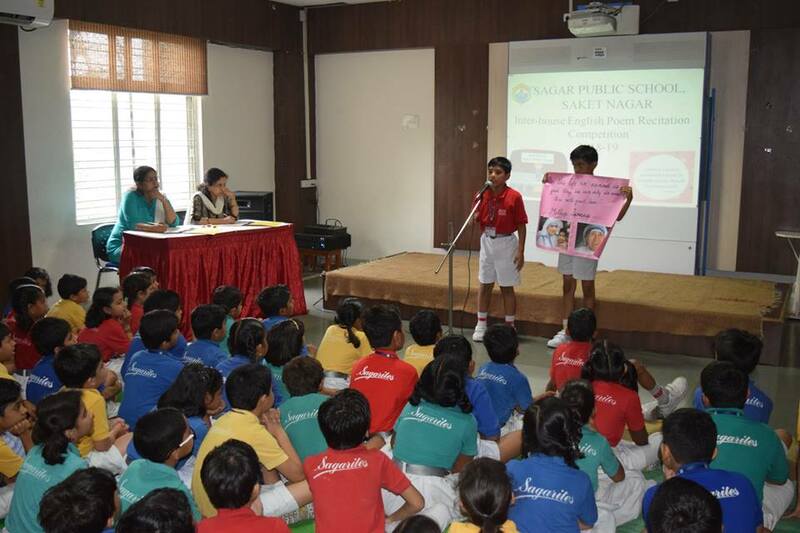 The content, presentation and the confidence of the participants were praiseworthy.